GARTER STITCH INTARSIA - RS this is a technique used in my Parallelo & Korra patterns, and less obviously in Azula. 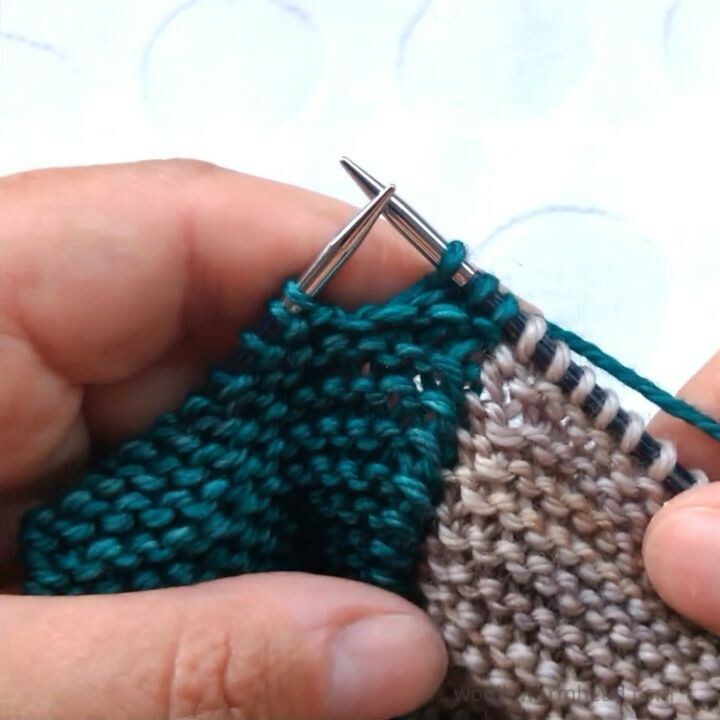 Changing yarns with the right side of the work facing is pretty straightforward - simply swap them over on the rear of the work without pulling either yarn too tightly. There's a temptation to pull the yarn tight to reduce sag but that only ends up messing up the tension either side of the transition - give it a gentle tug & keep the yarn firm, but not too tight. If you can, always swap the yarns over in the same direction (right over left) so that they naturally interlock on the back. 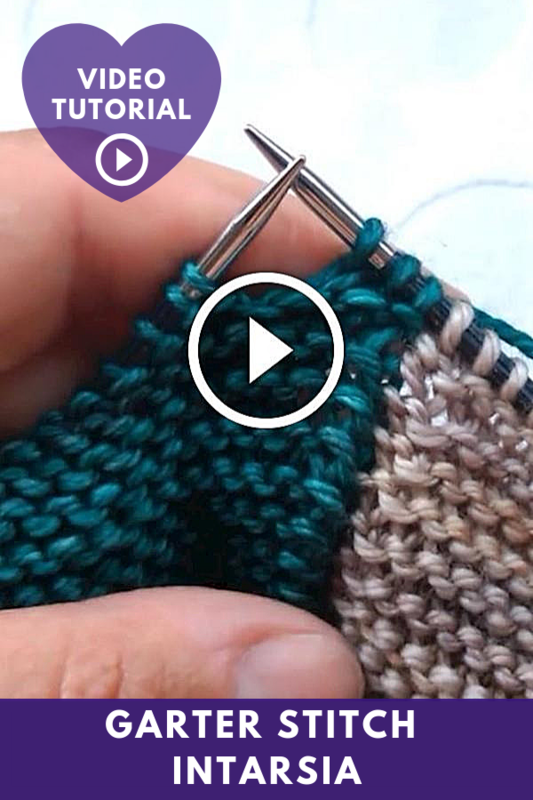 Video for changing yarns on WS to follow! We had loads of problems with the light & exposure during recording of these & couldn't edit it away - hope it doesn't distract too much!